Greetings from Spain, players and Jugger fans over the world! 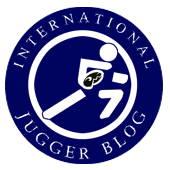 It’s been a while since our last post with news about the development of Jugger in our country. This wonderful sport has been spread faster than expected, and now there are great teams and brand-new tournaments in a few cities and towns, but the most activity it’s focused on Valencia, Zaragoza and the capital, Madrid. Let’s write a bit about the different competitions that are running nowadays. The main tournaments are the National ones. There are three of them over the year, and each one is independent from the others. They’re called Winter Tournament (Zaragoza), Summer Tournament (Valencia) and “Tuna” Tournament (Madrid). The name of the “tuna” one comes from a pun in Spanish, as “tuna” is said “atun” in our language, a word with a similar spelling as the word “autumn”. The champions in the last editions of the national tournaments were Old Ducks in Zaragoza (with finalists Plan B and Black Dragons), and Black Dragons in Valencia (with finalist Spuggers). Also, there are two Leagues running at this time in Zaragoza and Valencia. The one located in Valencia is the biggest, as 18 teams compete for the Best Team title in the city. Valencia League started on October 3rd, and will last until early June with games each Sunday in the Turia River’s fields. Follow the league’s progress entering in its website, which is updated weekly with news, interviews and photographs (http://www.wix.com/avjugger/liga-valenciana-de-jugger). As you can see, Spain has welcomed Jugger with expectation and hard work. Each city or tournament still has a few “home rules”, but we’re working together to unite Jugger definitely. Our players are improving their skills, so don’t surprise yourselves if you find any of us in an international tournament sooner rather than later, rising to the top. Since that day, salutes from the Spain Jugger! There are at least 15 teams from around Spain and of course you all are invited to join in! Sun, beach and jugger is comming!